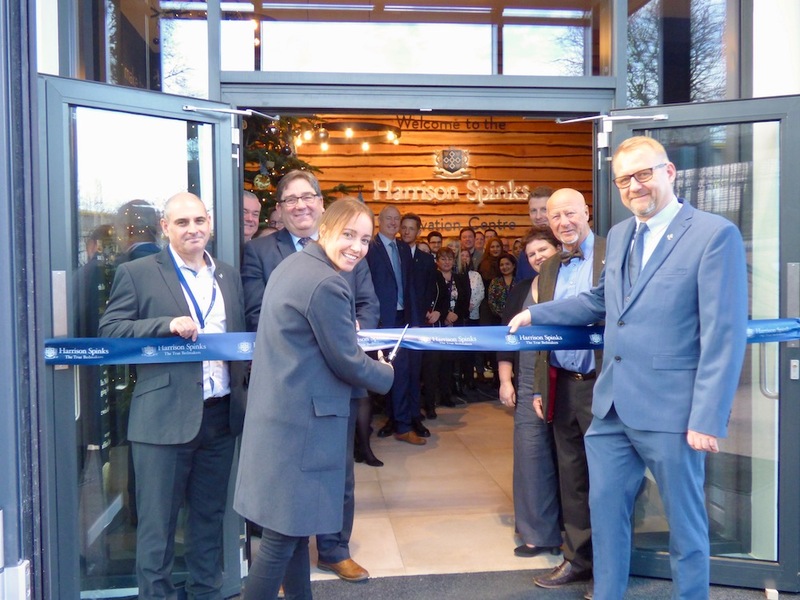 Harrison Spinks, a large bed manufacturer in Leeds launched its official Innovation Centre based at Westland Road in Beeston on Friday 7 December 2018. It is the latest development from the award winning bed manufacturer, which employs over 600 people. The Innovation Centre was officially opened by the Managing Director of John Lewis and Partners, Paula Nickolds. John Lewis is Harrison Spinks’ largest customer in the UK. During her official speech Paula commented on the “extraordinary building” and praised Harrison Spinks for the “locally sourcing, innovation and experimentation of the company”. In recent years the company has moved to make 100% natural beds and mattresses and have stopped using foam and glue in their products. The move came after customer feedback and discussions with John Lewis. In doing so they have reduced their environment impact considerably. Paula commented on how she was impressed by the company’s “courage” in making the sustainability step and particularly praised Simon Spinks, Managing Director of Harrison Spinks for “being particularly good at vertical integration and taking risks”. In recent years the company’s risks have paid off as Harrison Spinks was awarded the double Queen’s Awards for Enterprise for the second time (also in 2013). “The business has doubled in size every five years for the last twenty five years”. “…making recyclable components for furniture…together we will change the world to a more sustainable comfort”. In an ever changing, fast paced world, a good night’s sleep is the number one priority on many people’s list so a Harrison Spinks environmentally friendly, mattress may well aid in building a bigger and brighter future.